There are encouraging signs, although no promises, that an expected El Nino climate pattern would provide increased precipitation this winter for at least some drought-stricken areas in the southwestern U.S. In an hour-long live internet webinar on Oct. 24, which was packed with numerous maps and graphics, two El Niño experts Gerry Bell, a meteorologist with the National Oceanic and Atmospheric Administration Climate Prediction Center, and David Simeral, a climatologist and associate research scientist at the Western Regional Climate Center analyzed El Nino's expected impacts on the southwest. They emphasized the greater Four Corners region of Colorado, New Mexico, Arizona and Utah, where the four states border each other. 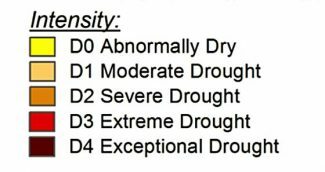 That's the hardest hit bulls-eye for drought, as parts of that region are still classified in the Exceptional Drought category. Recent rains have made a dent in some parts of the region, as an unusually wet October has helped to improve conditions in drought-stricken areas of southern, central and northeastern Arizona, central Utah, west-central Colorado, and eastern New Mexico. Other areas in the region, however, did not receive the summer's monsoonal rain relief. Drought conditions are expected to persist at least through January in: central and northern Utah, as well as the western two thirds of Colorado, southern California, eastern Nevada, southwestern Idaho, and eastern Oregon and north-central North Dakota. Meanwhile, the El Nino forecast is, at least encouraging. "Right now, we're in an El Nino watch, which means conditions are favorable for an El Nino," Bell said. "There's a 70 to 75 percent chance for an El Nino this winter, although it is too early to predict how strong it will become." The El Nino Southern Oscillation (as it's formally called,) or ENSO increases the likelihood this winter of above-average precipitation across the southwestern and southern U.S.
For the arid southwest, the increased storminess during El Nino is a major player for providing much-needed wintertime rainfall, and in helping to increase river levels and higher elevation snowpacks. An El Nino is present when sea surface temperatures in the east-central equatorial Pacific Ocean are at least 0.5 degrees Celsius above average (1 degree Fahrenheit) along with consistent tropical wind and rainfall patterns. Ocean temperatures in portions of the east-central equatorial Pacific Ocean are now 1 to 2 degrees F above average, so they're on the border of an El Nino. While 2017-2018 was one of the five driest years on record in the southwest due to a La Nina pattern last year, the five wettest years have occurred in El Nino years, so there's hope, although no guarantee. "Looking back to El Nino events as far back as 1933, historical data shows us that El Nino events can result in a wide variety of potential outcomes in terms of precipitation accumulations, ranging from below normal to above normal, but overall El Nino events tend to lean towards normal to above-normal precipitation in the Four Corner states," said Simeral, who presented detailed information on the region's drought and how El Niño could impact the region, based on past climate patterns. 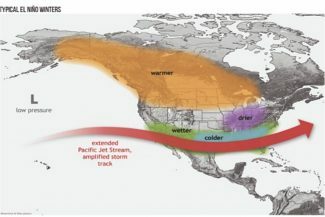 "Assuming that El Nino develops by this winter, the jet stream typically becomes more active during the winter along the southern tier of states, including the southwest, southern Plains, and Gulf Coast," said David Miskus, a meteorologist with NOAA's Climate Prediction Center in College Park, Md. "More moisture and Pacific storms normally translate to above-normal winter precipitation. In the higher elevations of the southwest and southern Rockies, that's usually snow, which is great for spring and summer snow melt runoff into rivers and reservoirs." "The southwest and southern Rockies have had numerous winters during the past seven to eight years with subnormal snow and rain (except for a wet December 2016 to February 2017 winter,) along with many hot and dry summers," Miskus said. 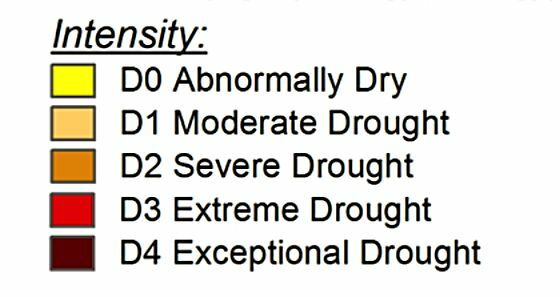 "The result has been large long-term precipitation deficits, leading to hydrologic drought (low streams, lakes, reservoirs, wells etc.). 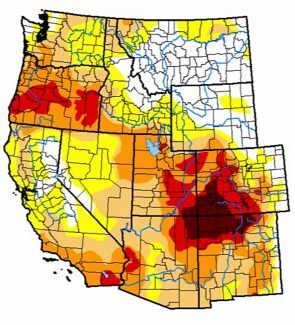 So, even if this winter is wet and snowy, it won't likely make all of the long-term deficits disappear in the southwest, but it would be a big step forward in improving the soil moisture and hydrologic conditions." Simeral said there are some specific concerns in the southwest such as the extremely low stream-flow levels across western Colorado, northern New Mexico and Utah. In Arizona there are reports of dry ponds and small springs not running in the White Mountains and Chuska Mountains. However, some improvement has occurred in rangeland conditions in the southern and northwest areas of the state. There are reports of wells running dry and water hauling in Walsenburg (south-central Colorado) and wells running dry in Teller County. In northwest Colorado on the Yampa River, individuals with junior water rights are having to cease diversions until those with senior water needs are satisfied. In southwestern Colorado, the Animas River (Durango, Colo.) recorded its lowest flows in its 107-year record this month. Natural flows on the Rio Grande in New Mexico dried up in July and it's still flowing only in relation to water from the San Juan-Chama Project. New Mexico Game and Fish are investigating the decline and die-off of brown and rainbow trout in the Pecos River (east of Santa Fe) possibly in relation to low flows and increasing water temperatures. Utah Gov. Gary Herbert declared a state of emergency due to drought last week. Drought is reportedly impacting farmers and ranchers, especially in southeastern and central Utah. In Sanpete County, farmers are struggling financially to survive the drought and some farms are being abandoned. 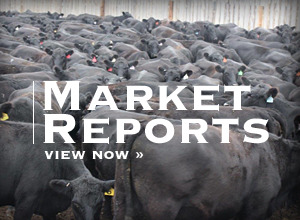 According to the Oct. 15 Utah Crop Progress and Condition Report, stock water supplies are rated 67 percent very short to short. Record low flows are reported on the San Juan River near Bluff, Utah. From July to September 2018, the monsoon season typically produces 50 to 65 percent of the annual precipitation in southern portions of Arizona and New Mexico. "So, it's really important to get that precipitation in those months," Simeral said. Looking at rainfall totals for the monsoon, the metro-areas fared well, including Phoenix, Albuquerque and Tucson. "Remnants of Hurricanes Rosa and Sergio have helped in the past month in Arizona and New Mexico, with 5 to 6 inch rainfall accumulations in southern and central Arizona. 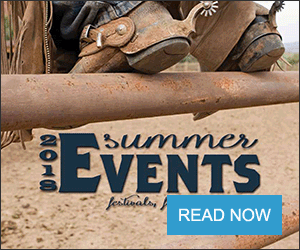 In New Mexico, there's been some pretty decent precipitation, and wetter than normal conditions in extreme eastern and portions of southern New Mexico," Simeral said. In Colorado in the past 30-days, western and northwestern Colorado have received some pretty good rains. However, in south-central Colorado, areas in the headwaters of the Rio Grande River are not faring as well. Simeral said overall, precipitation was below normal in the Four Corners region this summer. In the Colorado River Basin, which supports 40 million people, Lake Powell is 45 percent full. Lake Mead is 38 percent full. In Arizona, the Salt River basin is 47 percent full (which is down and well-below normal from last year). In New Mexico, Elephant Butte is well below capacity, and others are below normal. In the headwaters that feed the Rio Grande, precipitation was well-below normal over the past year. In the Colorado headwaters, the Upper Rio Grande Basin is well-below normal (The actual headwaters area is mainly in Colorado and the Upper Rio Grande basin is mainly in northern New Mexico and both experienced very poor snowpack levels). However, the Colorado and South Platte are looking a little better. Gunnison Basin is 31 percent full but the Upper San Juan Basin is still really poor. Utah is looking good in northern basins with capacities closer to normal. However, in central Utah, the Gunnison Reservoir is at its lowest level on record. 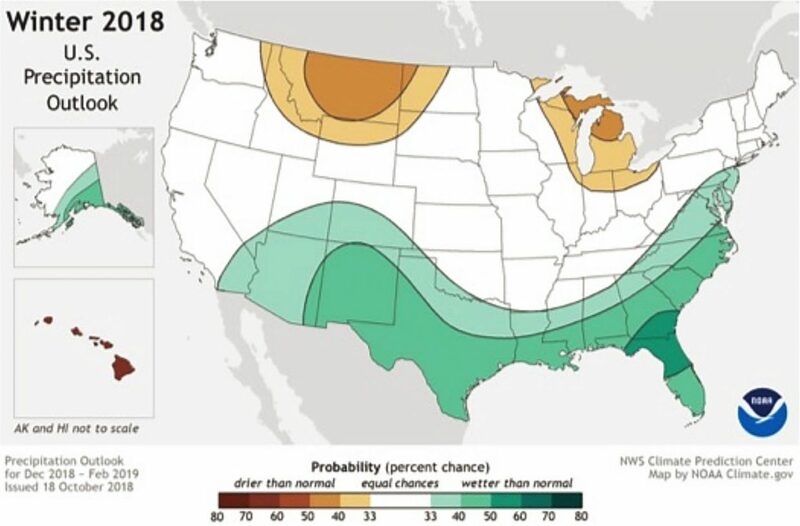 "While the El Nino is not a guarantee, it is at least an opportunity to have a chance for increased precipitation, as opposed to being in a La Nina pattern, which is a more immediate reaction of dry," Bell said. He pointed to the last El Niño, which occurred from the fall 2014 through spring 2016. "The winter of 2015-16 was a very strong El Niño," Bell said. "Recent moisture from Pacific tropical storms (Rosa, Sergio and Willa) brought unseasonably heavy rains to parts of the southwest this fall, so they have a good foundation to start the Water Year (Oct. 1-Sept. 30)," Miskus said. "And hopefully the (developing) El Nino will build on this wet start for the rest of the winter into spring. 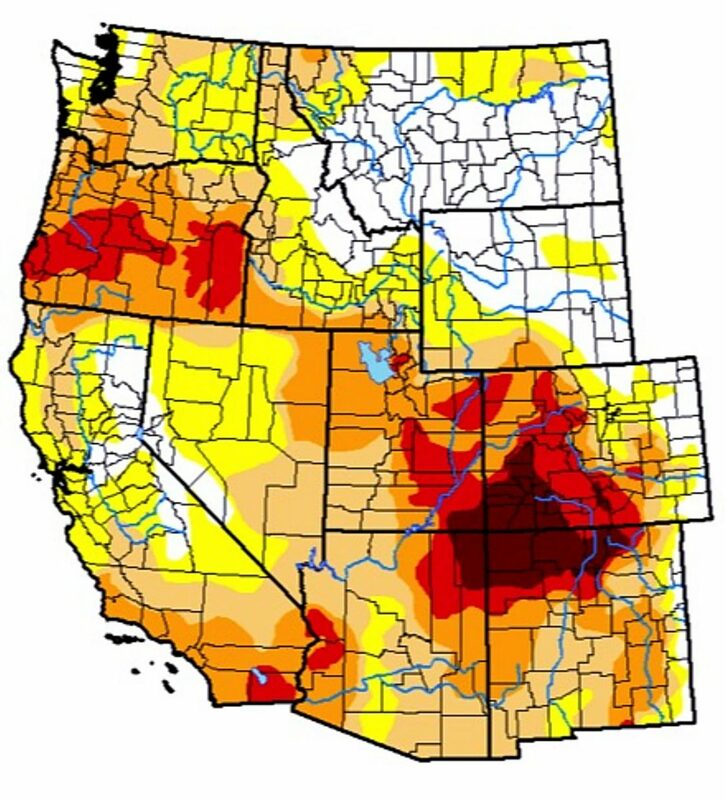 Let's just say that this winter is more optimistic for drought improvement in the southwest (and better water, crop and pasture conditions in the near future and for next year) than past winters, and we've had a good start so far. Hopefully it keeps going." The webinar presentations were a collaboration of NOAA's National Integrated Drought Information System the National Weather Service, the U.S. Department of Agriculture, state climatologists, universities and other drought experts. NISDIS was created to help explain how drought affects society, the economy and the environment. NIDIS hosts the webinars so that interested folks can watch the entire webinar, which is recorded and available on http://www.drought.gov.